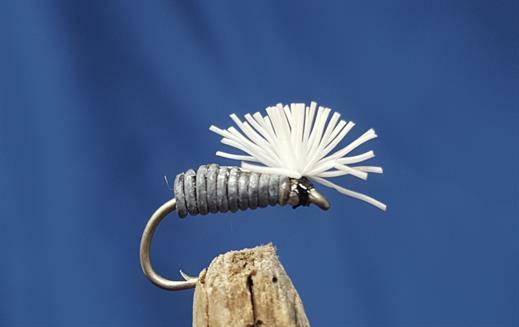 When All Else Fails is another Bill Sibbons pattern, much like the Phantom but substituting a tuft of white deer hair for the badger hackle. The axiom for every fly fisher is to imitate the natural fly the trout are feeding on. Body : Lead wire wound tightly, 0.80 mm. Hackle : Tuft of white deer hair. Head : Built up with tying silk to quite a substantial size. Currently there are no comments about the When All Else Fails fly pattern from other fly fishermen yet.